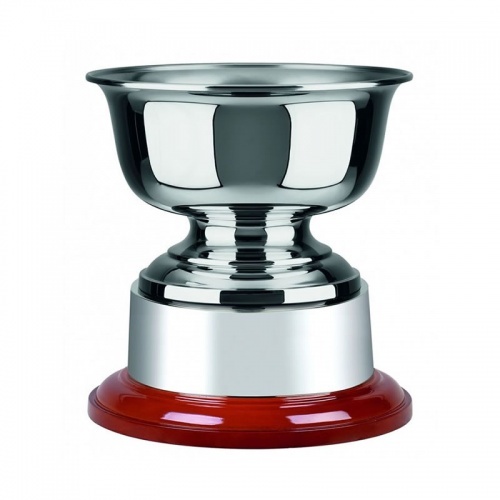 These quality trophy bowls are made in Britain and have a non-tarnish nickel plated finish. Available in three size options, they are mounted on a rosewood finish base and sold complete with plinthband, ideal to create perpetual awards. Engraving can be supplied to both the body and/or plinthband.